Whilst I was working on a job involving Hammersmith, I came across this. content.tfl.gov.uk/bus-route-maps/hammersmith-a4-0319.pdf - a new style of spider map. What do you all think? I think it looks better than those awful simplified ones - but again there’s a loss of information as the whole routes aren’t shown! There seems to also be a lot of markers without any stop names. It looks better but the loss of information is huge. I can understand why they've tried to limit the geographical scope - especially when they are cutting down on direct links over longer distances anyway - but I think they've pruned a bit too much. For a Hammersmith map not to reach Mortlake, Knightsbridge, Kew Bridge or Westbourne Grove is pretty poor. I don't like it at all as it doesn't show the whole route. Marginally better than those useless monstrosities developed during the branding trials. However there is a huge loss of relevant information here and those "boxes" with the route details look clunky and clutter the map up. The loss of the a full route list by direction with the stop codes is a pain. Now you have to wander round the map to find those clunky boxes, read the stop codes and then go back to the central bus stop map. What a mess. While spider maps were never 100% ideal they are a concept that is well embedded. I don't really see what was "wrong" with the old design that warrants this scale of change. Agreed - I'm a fan of the original spider maps as it's easy to seek the information you need and match it with the key on the side but also really like how they show all stops for a certain distance as well which this iteration fails to do. I too like the original design. It is certainly another case of fixing what’s not broken. Whilst I respect that some of the spider maps could be a bit cluttered showing entire long routes I think showing the 9/23 as far as Kensington and 27 to Notting Hill Gate is cutting it a bit thin. The 23 should show till Marble Arch (arguably the last point people from Hammersmith would travel anyways) the 9 maybe to Green Park and the 27 to Warren Street to highlight it serves Paddington. Anything after those points less needed to show all the places served. I know the Ilford one shows the 25 as far as Aldgate which again is probably the last point most from Ilford would travel on the route. Repeating myself a bit here but I am not a fan of spider maps. I know many like them but I find the explosion of colours, geographical distortion and attempt to shoehorn in too much information far harder to read than traditional maps. There is a more significant problem for me though, in so far as spider maps are out of step with the new world of the hopper. It is absurd that maps only show services from that stop if TfL expects us to travel on one route for a while and then change to another to get where we need to go. Connecting routes have never been more important. To me, spider maps are no longer fit for purpose and an anachronism. The old 80s "bubblegraph's" time may finally have come. a) We may have the hopper ticket but despite a lot of protestations there has yet to be a wholesale network restructuring that mandates changing between routes right across London. b) A lot of bus journeys have required some form of interchange for decades but mapping has never reflected this apaprt from the dreaded bubblegraph map. c) TfL seems to be adopting policies that makes interchange much more convoluted and painful than is necessary in a vain attempt to "speed up" buses or to avoid spending capital funds on making bigger bus stations / larger stands. That is going to make any form of mapping more complex and harder to understand. How on earth are people in Croydon going to cope when buses are wrenched away from existing termini? At present about 7 different spider maps cover Central Croydon (this point supports your argument) and you won't see all seven at somewhere like West Croydon Bus Station. Complex town centres with many routes probably deserve a different mapping approach especially when TfL deliberately rips buses away from established termini. 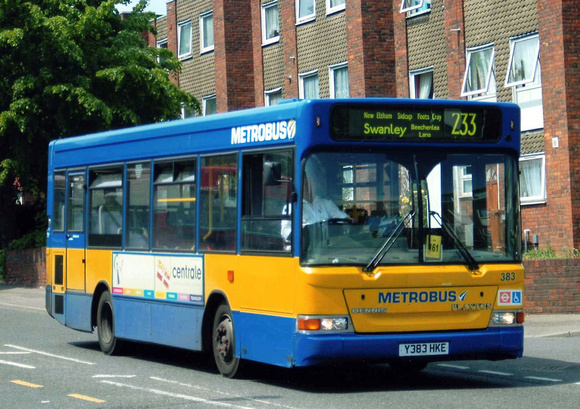 If you were a visitor and landed at West Croydon and wanted a 154 bus where would you find the info as to where it departed from? Sadly with no quadrant paper bus maps it is extremely difficult to find out where buses go to and from unless you can force yourself to use the appalling online mapping TfL use. I'm really glad that I am possessed with a decent memory for things like bus routes and maps / geography. I think the way to go would be to do them in the style of the old Quadrant maps, but localised versions.